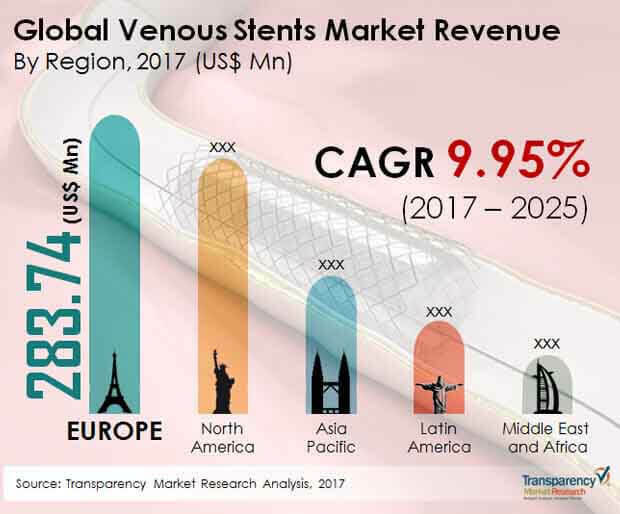 The global venous stents market encompasses a number of market players who have shown remarkable expertise in the domain of research and manufacturing. Since the market for venous stents is closely linked to the healthcare industry, the market players have been channelling their efforts towards benefitting the healthcare sectors of various regions. It is expected that the leading market players would up their technological gradient in order to establish their supremacy in the global market for venous stents. Furthermore, these leading market players are expected to engage in core research and development in order to come up with better venous stents. The market’s competitive landscape is expected to undergo fundamental changes as several new market players are making their way into the industry. The established market players are projected to avert the entry of new players by forming strategic alliances. The manufacture of venous stents is a rigorous process that demands expertise and knowledge about various areas. In this with this requirement, the market players are projected to develop better research facilities over the coming years. The smaller market players are foreseen as partnering with local and regional healthcare bodies in order to expand their market share. Some of the key players in the global market for venous stents Boston Scientific Corporation, Jotec GmBH, Gore Medical, Veniti, Inc., Cook Medical, are C. R. Bard, Inc., and Optimed Medizinische Instrumente GmBH. Transparency Market Research (TMR)’s report is representative of the trends and opportunities that currently exist in the global market for venomous stents. The report predicts that the global market for venomous stents is expected to expand at a robust CAGR of 9.95% over the period between 2017 and 2025. Furthermore, the global market was valued at US$750.00 mn in 2016 and is expected to elevate to a value of US$1.72 bn by 2025-end. The demand within the global market for venomous stents is driven by the rising incidence of obesity across the globe. As the healthcare sector makes concerted efforts to provide effective treatments for obesity, the market is expected to expand further. The demand for minimally invasive procedures has also increased in recent times, and this has given an impetus to the growth of the global market for venomous stents. Diseases relating to the veins require deft scrutiny and careful treatment in order to avoid any further complexities. This is also a key standpoint for the growth of the global market for venomous stents in recent times. Research and development initiatives undertaken by international medical centers and organizations are also expected to drive demand within the global market. The global market for venous stents has been growing at an astral rate in recent times, yet the development in the emerging economies has been sluggish. The lack of proper medical facilities coupled with the limited skill of medical practitioners has hampered the growth of the market for venous stents in the emerging economies. The review is based on TMR’s research report titled “Venous Stents Market (Technology - Iliac Vein Stent Technology, and Wallstent Technology; Application - Leg, Chest, Abdomen, and Arm; Disease Indication - Chronic Deep Vein Thrombosis, Post Thrombotic Syndrome, May-Thurner Syndrome, and Hemodialysis/Arteriovenous Fistulae) - Global Industry Analysis, Size, Share, Growth, Trends, and Forecast 2017 – 2025”.